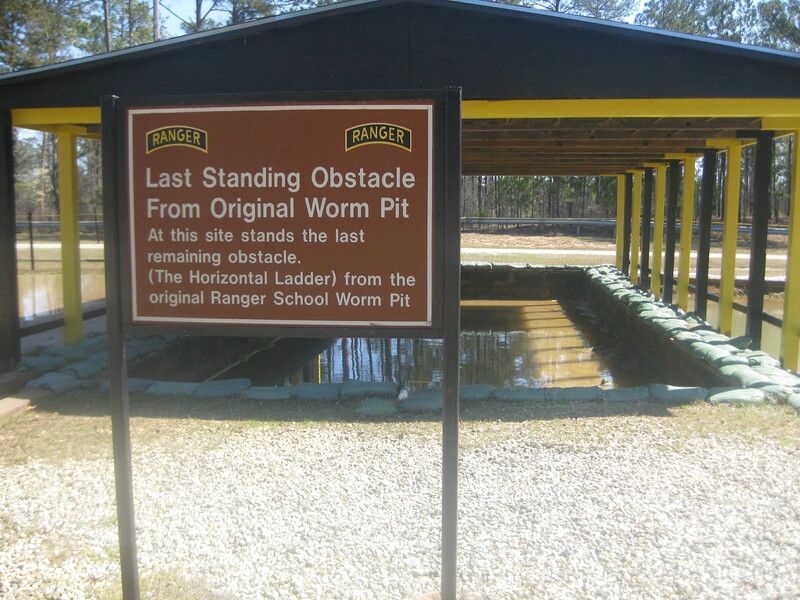 Fort Benning is the home of the Infantry where I attended the Infantry Officer Basic Course, the Basic Airborne Course, Ranger Course, and Battalion Pre-Command Course. 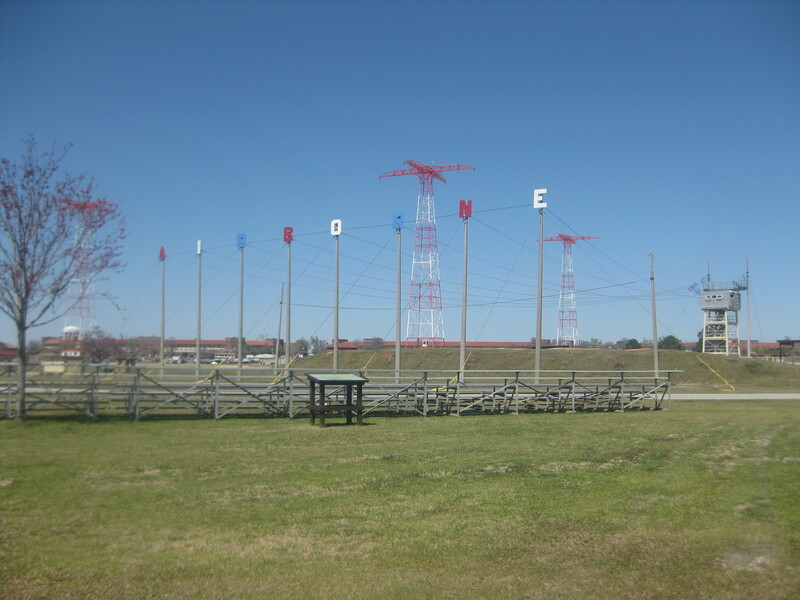 I have always joked about being a graduate of the “Fort Benning School for Boys,” so when it looked like our travels would take us near Fort Benning, I was thrilled. 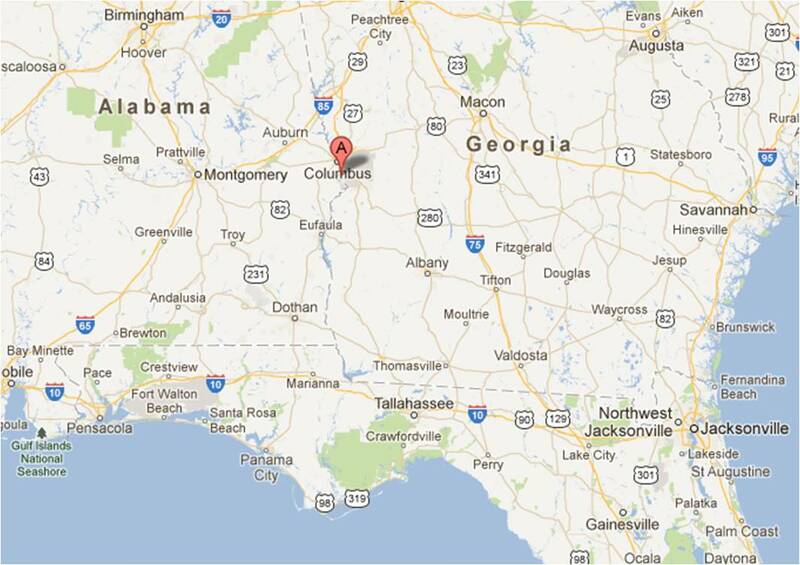 We stayed at the Uchee Creek Campground and consider it the best military campground we have ever visited. The campsites are spread out and have fire rings for campfires. This is nice as most military campgrounds and many civilian RV parks do not allow ground fires. Throughout the day you could hear small arms fire, the impact of mortar rounds, and see C-130 cargo aircraft dropping paratroopers on nearby Fryar Drop Zone. Most civilians might not think this was very good, but I loved it! 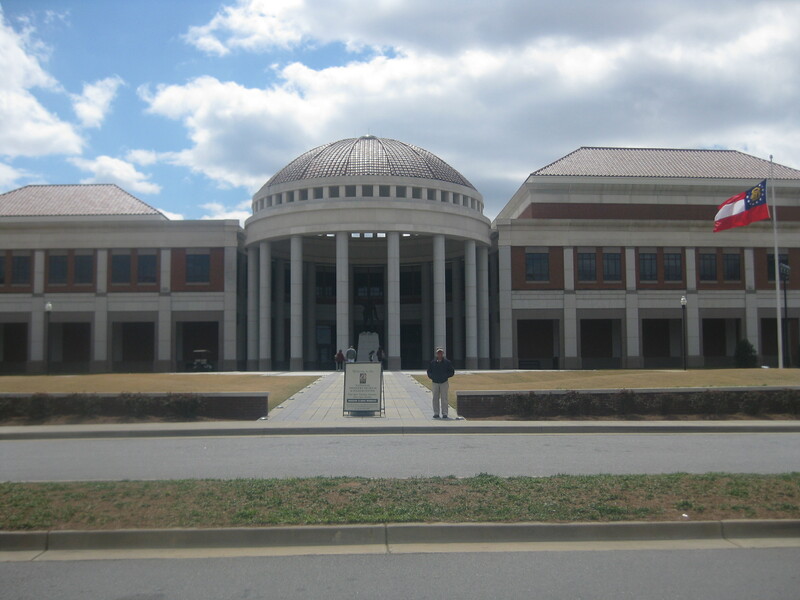 The National Infantry Museum is a relatively new addition to Fort Benning and is well worth seeing. The museum immerses you into the spirit of the Infantry with the first exhibit called the “Last 100 Yards.” It displayed battles from the Revolutionary War to Operation Enduring Freedom in Iraq. The armor and artillery can fire shells and the Air Force can drop bombs, but it is always up to the Infantry, the Queen of Battle, to close with the enemy in the last 100 yards of close combat to win the battle. Pat found this to be the most interesting part of the museum. 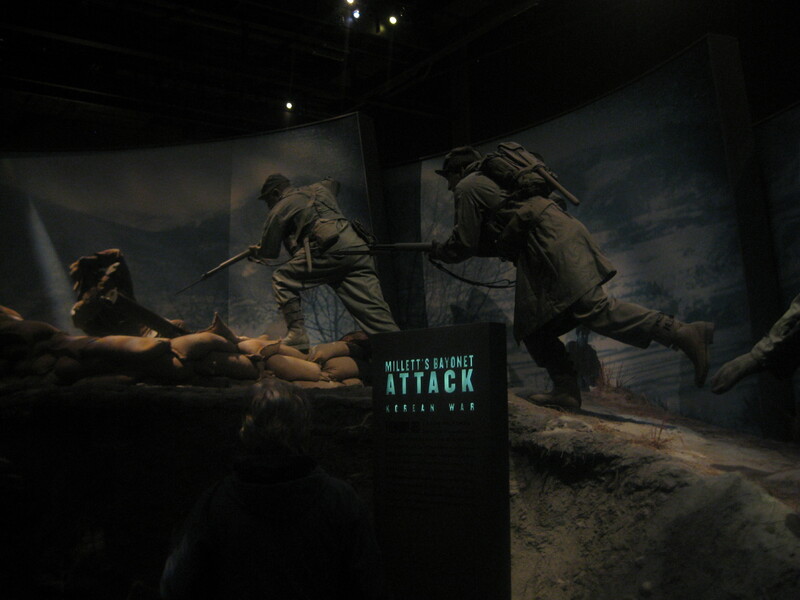 The museum shows the evolution of the infantry through the years and how it has adapted to the changing world. 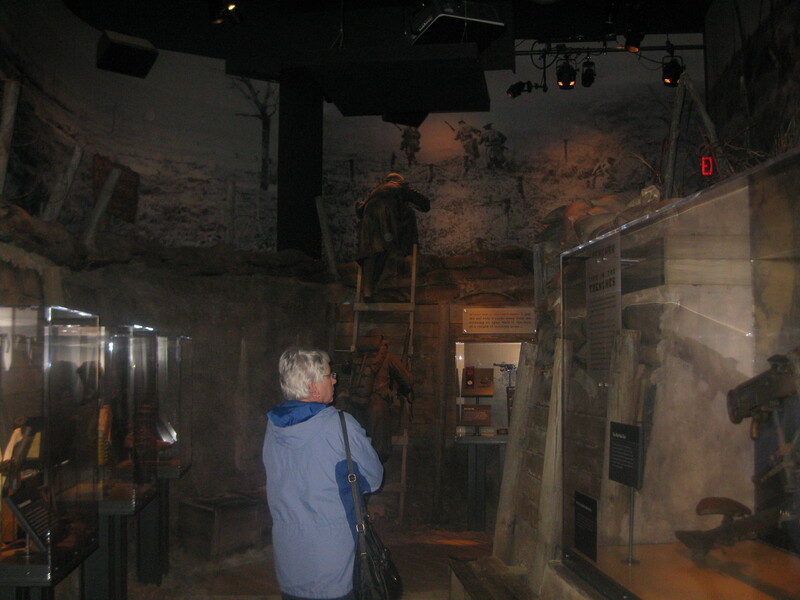 The Fort Benning Gallery gives visitors a pictorial history of the post and the Infantry School’s training programs. The highlight to me, second only to the “Last 100 Yard Ramp,” was the Ranger Hall of Honor. The next day we drove to Harmony Church to visit the Ranger Training Brigade. 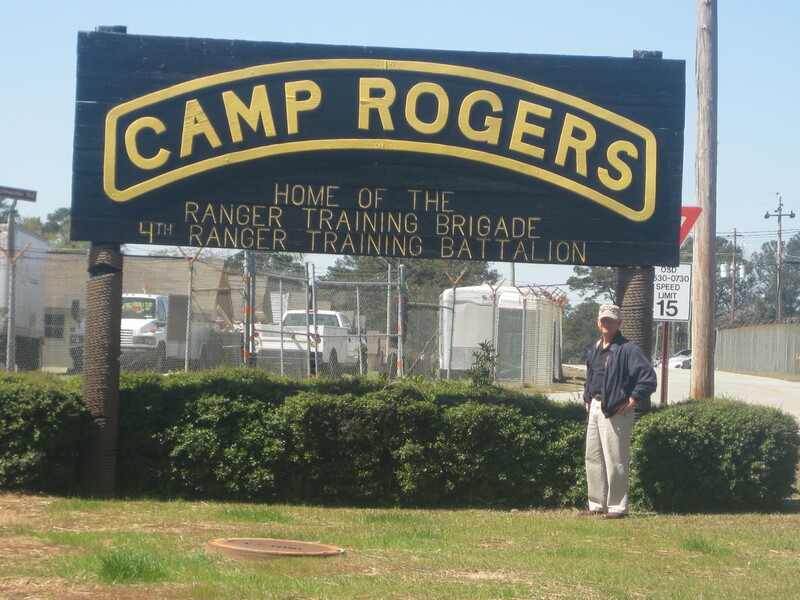 When I was a Ranger student in 1979 we were housed in World War II barracks. While still Spartan in nature, the current barracks are all new construction. 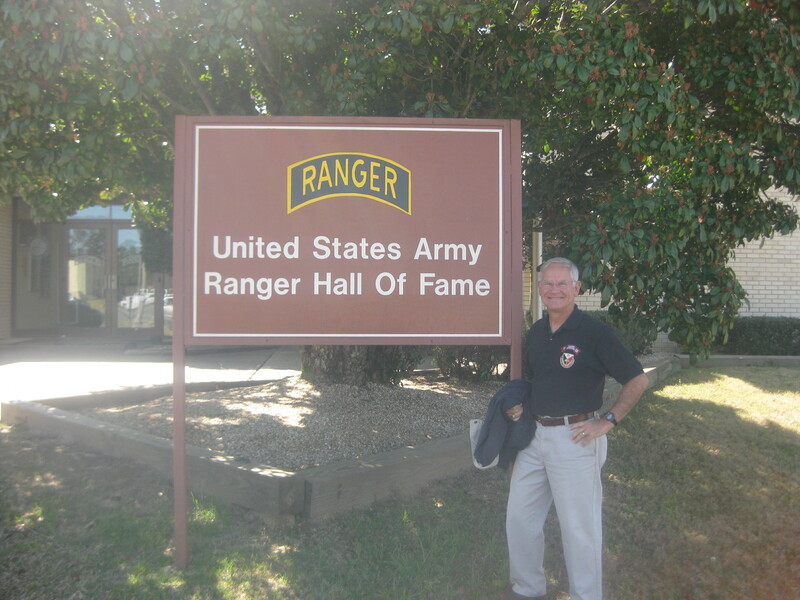 We toured the Ranger Hall of Fame where I learned some Ranger history that was new to me. 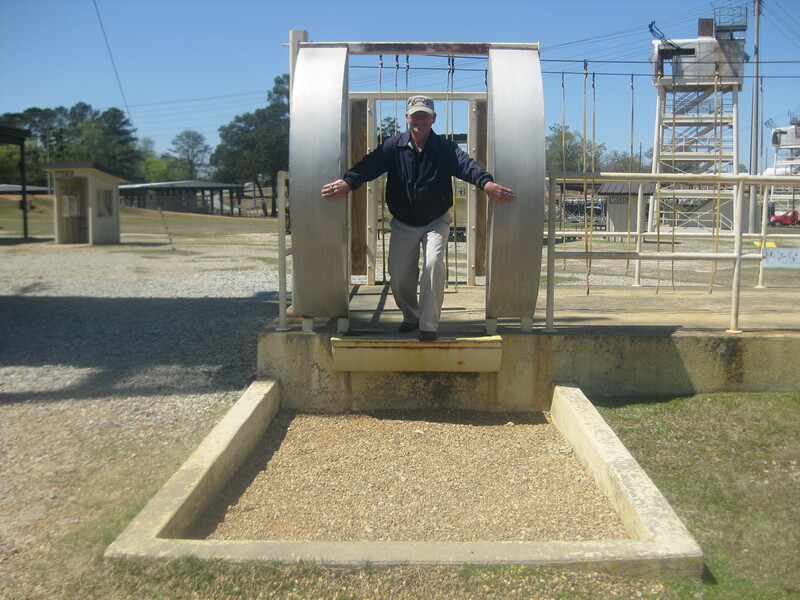 It was quite a trip down memory lane to walk through the physical training area where I suffered over thirty years ago. I can remember the day I came out of the “Worm Pit” so cold that I couldn’t make my fingers wouldn’t work like it was yesterday. From Harmony Church we drove to Building 4. 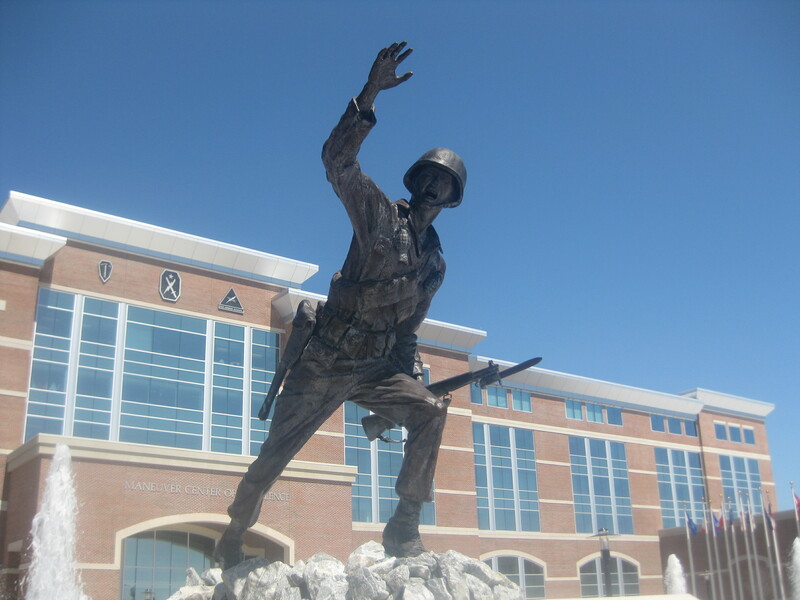 Fort Benning has been designated as the Maneuver Center of Excellence and is the new home of the Armor School, as well as the Infantry School. Building 4 is the headquarters for the Maneuver Center of Excellence and used to be called Infantry Hall. It is now the McGinnis-Wickam Hall, in honor of two Medal of Honor recipients (one Armor and one Infantry). 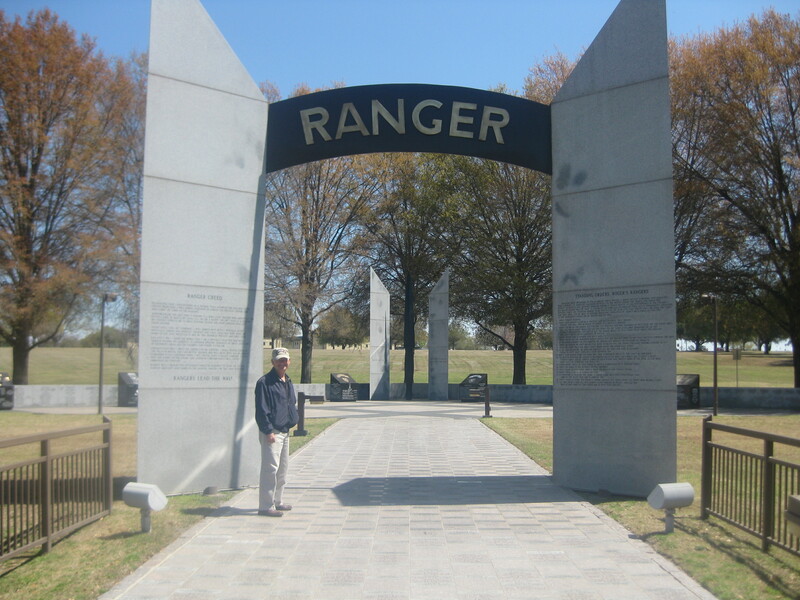 Outside is the Ranger Memorial, commemorating the service and sacrifice of Army Rangers since Roger’s Rangers of the French and Indian War to the present. We also visited the training areas for Ground Week and Tower Week of the Airborne School and the Airborne Walk and Battle Memorial. It brought back memories from 1972 when I made my first jump from a “perfectly good” airplane. 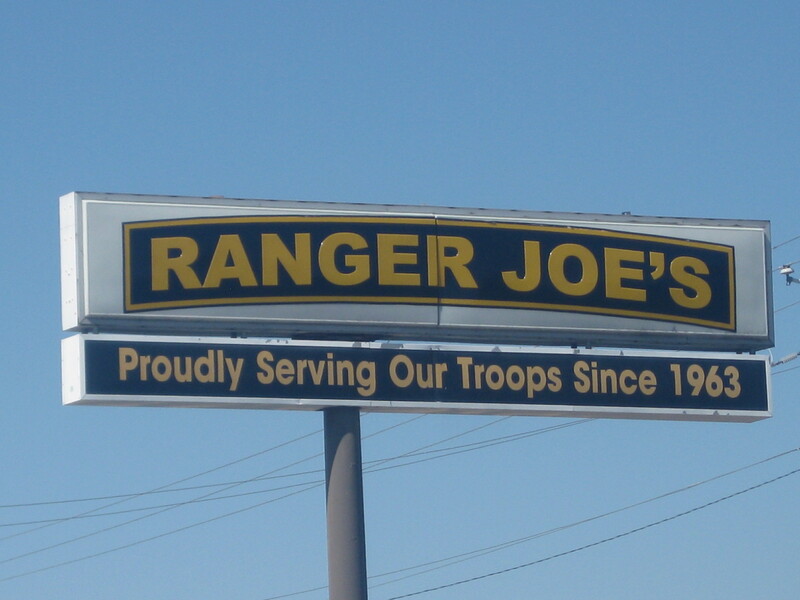 Our last stop on memory lane was a shopping trip to Ranger Joe’s Army Surplus store, a famous source of equipment for Infantry soldiers for years. It’s one of those “must do” activities, as a trip to Fort Benning would not be complete without a visit to Ranger Joe’s. Our last day was spent in the campground doing some maintenance on the trailer and packing for the next day of travel. We spent a night at a KOA campground and arrived at the Falls Lake Recreation Area near Raleigh, NC on April 30th. This entry was posted in Fulltime RV, Georgia, Michigan Traveler, Military RV Parks, National Guard and tagged Airborne School, fifth wheel trailer, Fort Benning, full-time RV, fulltime RV, Infantry School, Maneuver Center of Excellence, National Infantry Museum, Ranger Hall of Fame, Ranger Joe's, Ranger School, RV Forums. Bookmark the permalink.